Little infographic for you; executive summary - the iPad in its first quarter of sales accounts for almost twice as much revenue as all desktop Mac sales. Puts the future in perspective, don't you think? 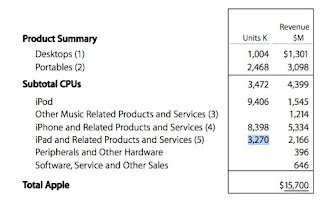 Taken from Apple's financial results PDF.